Hemp Powder has a nutty flavor. Also protein because it contains 50% protein. Perfect for athletes who follow a high protein diet. Delicious by a smoothie, fruit and / or yoghurt. It may also be baked with it by 25% of the flour or to be replaced with hemp flour powder. Use 2-3 tbsp daily or as needed. Dry and dark. 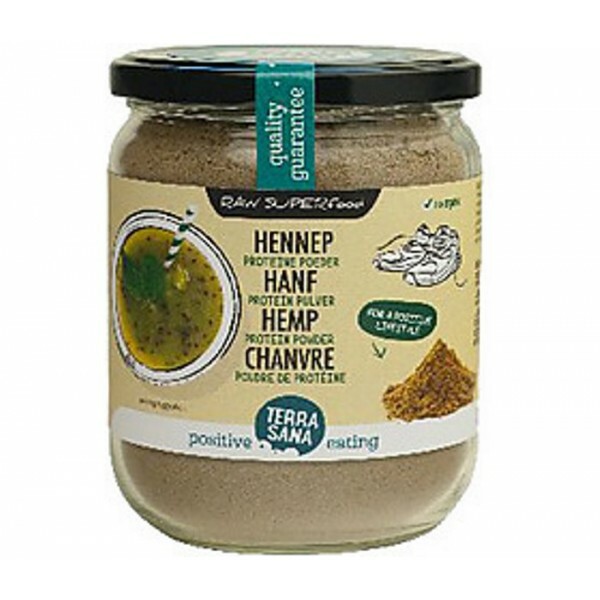 Hemp powder is made ​​from raw, organic hemp seed and milled by means of cold press technique to powder. 100% ORGANIC HEMP PROTEIN POWDER. Taste and enjoy pure superfoods, unique products that nourish you really. Enjoyed by smoothies, desserts and yogurt. Contains all you need to make a good healthy juice to start each day. Contains carrots, apples, beet..